That's weird, because he is heavily Bohnam and Moon based. 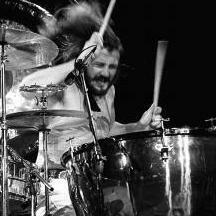 But I think Bohnam was responding to Peart's 2112 from 1976 in Prescence's Achilles Last Stand, which is heavily like Rush. 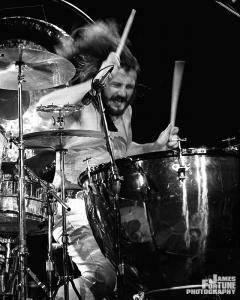 If Rush had done a cover of Achilles last stand, it would have been their style and no one would have known it was a cover, especially Peart doing that triple-cymbal thing that Bohnam adopted during ALS. Can you list your top 10 LZ songs, in no particular order? Radio Stations that Still Get the Led Out! WBIG 100.3 on Two-for Tuesdays will play a big Zep song (Immigrant song, stairway, heartbreaker) and then a REAL Zep song I've heard Tangerine, The Ocean, When the Levee Breaks, The Rover!!! Sometimes they will just play another biggie and that makes me furious. Also, just a side, I never knew Kashmir was big, and when I heard it on the radio I was surprised and I loved it, but now its always stuck in my head. Buddy, I'm a teenager and Led Zeppelin songs are like my language, I personally love Nobody's Fault but mine, and Night Flight, if you haven't heard those.